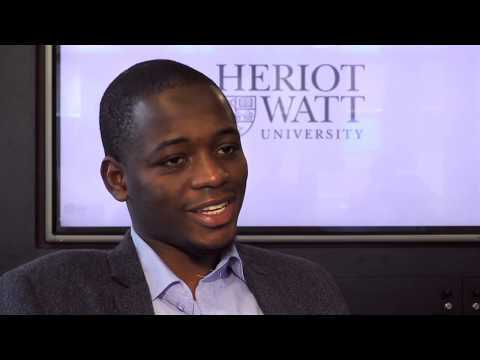 For more information about Oil and Gas Technology at Heriot-Watt University, please visit the webpage using the button above. The oil and gas industry faces several challenges in the supply of oil and gas, both as energy and sources of chemical raw materials. There are a large number of areas in the world where reservoirs are in decline and a number of new reservoirs that are more challenging to produce from. Both present major technical challenges to the oil and gas operators. Of equal difficulty is maintaining the number of engineers within the industry who have the necessary skills and knowledge needed to produce oil and gas. This programme was developed to provide engineers entering the oil and gas industry with the background and knowledge of these challenges. Traditionally in the UK, the vast majority of engineers enter the industry through two routes; either as facilities or surface engineers or through the petroleum engineering or sub-surface engineering route. This programme was been designed with the help of the industry to provide a cross over between surface and sub-surface engineering functions with the intent that future oil and gas operations can be better optimised to enhance recovery of the reserves. In order to maximise recovery, surface engineers in an operating company must communicate effectively with the reservoir and production engineers within their own company as well as develop relationships with and assess the work of contractors and vendors when designing and constructing facilities. Therefore, surface engineers need to be competent not only in the areas of process design, pipeline engineering, but also be familiar with reservoir engineering, production technology and a variety of other engineering and management subjects, such as safety and control, management of projects, economics and planning, etc. The programme is organised and managed through the School of Engineering and Physical Sciences and offers courses in process, mechanical and petroleum engineering. It is suitable for those with a background in chemical and process engineering, mechanical engineering and related engineering disciplines. Taught courses cover topics in fluid mechanics, thermodynamics, pipeline engineering, materials, corrosion, process engineering, reservoir engineering, economics and petroleum production technology. The entry requirements are a good Honours degree (2.1) in Chemical Engineering, Mechanical Engineering or Physics, or a closely related subject. Equivalent overseas qualifications will be considered. Alternative backgrounds, such as vocational training complemented with sufficient relevant industrial experience and continued professional development will be assessed on a case-by-case basis. If you are not from a UKBA recognised English speaking country, we will need to see evidence of your English language ability. If your first degree was taught in English a letter from them confirming this will be sufficient. Otherwise the minimum requirement for English language is IELTS 6.5 or equivalent, with a minimum of 5.5 in each skill. 3 weeks English refreshers course (for students who meet the English condition for the MSc but wish to refresh their English skills prior to starting).